Al Ahli Holding Group (AAHG) and Twentieth Century Fox Consumer Products have announced a licensing partnership to develop the first Twentieth Century Fox theme park and resort in Dubai. With current plans stalling on a similar development in Malaysia due to budgetary constraints, the new deal allows for a roll-out of up to three additional Fox-branded resorts in UAE territories outside of Dubai. The theme park will incorporate some of Fox’s most well known IPs, including Ice Age, Rio, Planet of the Apes, The Simpsons and more, with a broad attraction mix including dark rides and thrill rides telling stories based on Fox brands. In addition to rides, AAHG says that the park will include the world’s first Fox hotel and a theme retail street with shopping and dining experiences based on Fox IPs. “20th Century Fox World, Dubai is the second Fox theme park destination and marks an important step forward in our global theme park strategy,” said Jeffrey Godsick, president of Twentieth Century Fox Consumer Products. 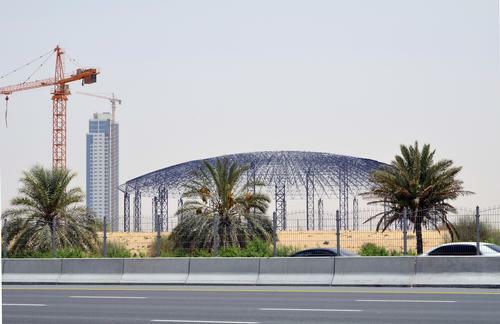 As it aims to reach its target of 20 million visitors annually by the 2020 Expo, Dubai is currently a hotbed for theme park and resort development. 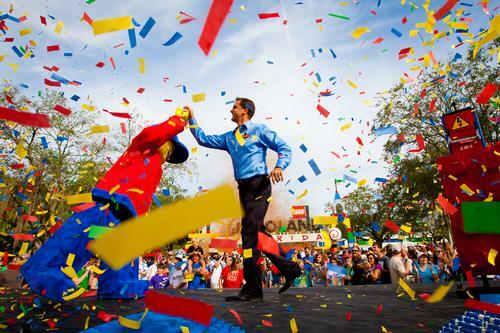 In addition to Fox World, Three theme parks are under development as part of Dubai Parks and Resorts, while IMG Worlds of Adventure is set to open in the new year and Ferrari World is working on big expansion plans. 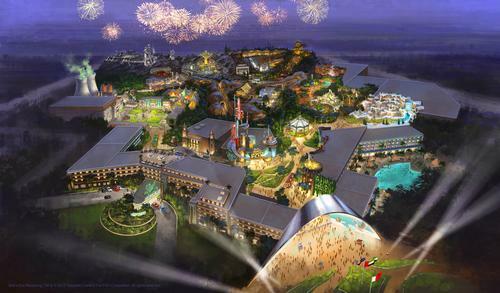 Dubai Parks and Resorts – the developer behind the AED10bn (US$2.7bn, €2.4bn, £1.8bn) theme park mega resort under construction in the UAE – is planning to send a group of Emirati graduates to Orlando, Florida, to learn more about the theme park industry. Dubai’s theme parks will generate US$5bn (€4.5bn, £3.1bn) annually by 2020, according to the organisers of the Dubai Entertainment, Amusement and Leisure (DEAL) show. Design firm Falcon’s Creative Group have revealed new details about the Avengers ride coming to IMG Worlds of Adventure theme park in Dubai, with stereoscopic 3D media to combine with an elaborate physical environment and special effects to bring the Marvel Universe to life. 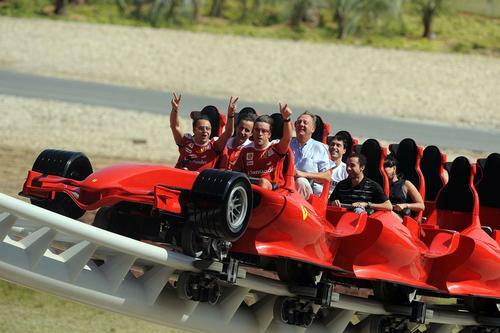 Ferrari World in Abu Dhabi has announced plans to open a further seven rides over the next three years in an effort to boost attendance and capacity at the theme park by 40 per cent.